The Hampton Clean City Commission encourages you to think now about what will happen to your Christmas tree after the holidays. Now is the time to plan ahead for the solid waste footprint your tree will leave behind. You have options! Buy a replantable Christmas tree, then add it to your landscape. Follow the directions about how to care for your tree before decorating it and planting it after Christmas so it has the best chance for survival. 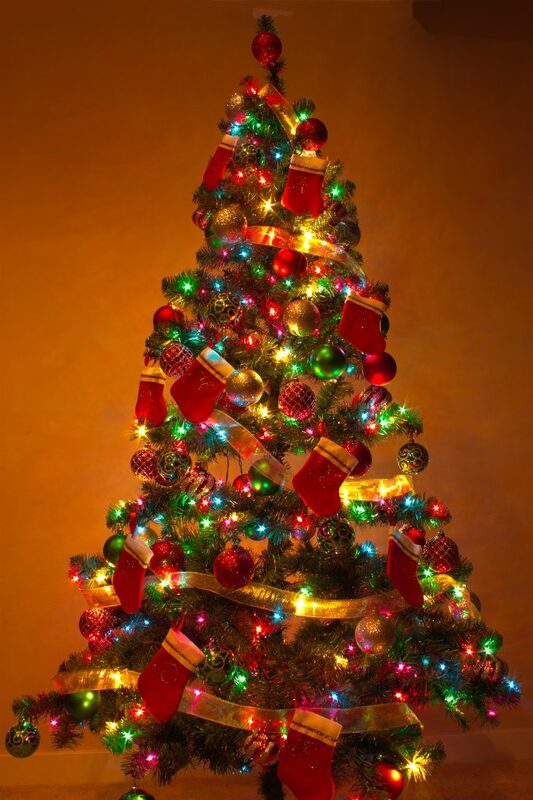 You can choose to buy artificial Christmas trees because they last so long and therefore reduce waste in the long run. If it’s time for a new artificial Christmas tree, but the old one is still in good shape, donate it. Many people can’t afford Christmas trees, and a donated artificial tree can help a family celebrate Christmas. After Christmas, you can reuse your naturally grown Christmas tree by taking ALL the decorations off of it (including tinsel) and placing it in a quiet corner of your yard as a wildlife habitat area. This does not mean you can pile your trees year after year until your yard looks like a Christmas tree landfill. Each year the old reused tree should be replaced by the new reused tree, and the old one should be recycled. Artificial Christmas trees cannot be recycled. If your tree is not reusable (missing parts, missing needles, broken, wobbly), then throw it away in the bulk waste collection. Your naturally grown Christmas tree can be recycled at curbside if you receive City of Hampton curbside garbage collection. Remove all ornaments, tinsel, and the stand. Place it separately from bulk waste and regular trash so it can be easily collected. If you live in an apartment or condominium and do not have city garbage collection, you can still recycle your naturally grown Christmas tree. Again, remove all ornaments, tinsel, and the stand. Take it to one of eight collection sites in the city, and place it at the location indicated by the sign. Please do not put it in a bag or put netting around it, and remove all ropes and twine when you drop it off. The school sites collection will take place between December 26th and January 17th. The Hampton Clean City Commission and the City of Hampton appreciate your efforts to reduce, reuse, and recycle, not just at Christmas, but year round. For more information about the 3 Rs, general solid waste disposal, and green holiday ideas, contact the Hampton Clean City Commission at [email protected] or 727-1130. For information about recycling and garbage collection contact Hampton’s Customer Call Center at 311 (727-8311 by cell phone).